The APC said Saraki’s presidential declaration was meant to deflect attention from the deluge of issues he is currently dealing with. Senate President, Bukola Saraki and the ruling All Progressives Congress (APC) engaged in war of words, yesterday, over his presidential bid in 2019. The APC drew first blood when the party Saraki’s 2019 presidential bid as a huge joke. The party came hard on Saraki, described him as incompetent and incapable cited his antecedents which the party also said is characterised by lack of integrity. “Saraki, in his declaration speech stated among others: ‘I have decided to heed the call of teeming youths who have asked me to run for the presidency. I have what it takes to secure inclusive growth for Nigeria; I will address our infrastructural deficiency through aggressive financial initiatives; our fight against corruption will be on deterrence; I offer leadership driven by empathy. “On these few points, we are mindful of the popular axiom: ‘By their fruits, we shall know them.’ By virtue of Saraki’s antecedents, he is an abysmal failure and is totally incompetent to offer himself as a candidate for leadership of Nigeria,” the party said. According to the APC, Saraki’s two terms as governor of Kwara State and his position as the senate president, in the last three years amount to waste. “What were his performance records in these two assignments? As Kwara state governor, was his Shonga Agricultural Programme not a white elephant project in which hundreds of millions of state funds was sunk into? The infrastructure, particularly roads network in Kwara state, in which the present administration remains under his tight grip and political machinations long after leaving office, remains deplorable while state resources is mismanaged through corrupt enrichment. “A presidential aspirant, who promises to create jobs and turn around the economy at the national level, must have done so in a state he served as governor for eight years. We challenge Saraki to give the nation his scorecard as Kwara state governor. “As senate president, how Saraki used the position to superintend over budget padding, sabotage of the executive by frustrating confirmation of presidential nominees, stalling legislative approvals for election budgets and his recent shadow boxing on the Electoral Act, among other treacherous actions against the APC, which he was then a member, in pursuit of his selfish political interests has been well reported. Was Saraki’s Senate Presidency not a journey of shame and disgrace – moving from one Court or Tribunal to another over charges of forgery of Senate Rules, false declaration of assets, and being linked with armed robbers who brutally killed and maimed innocent residents in Offa recently? 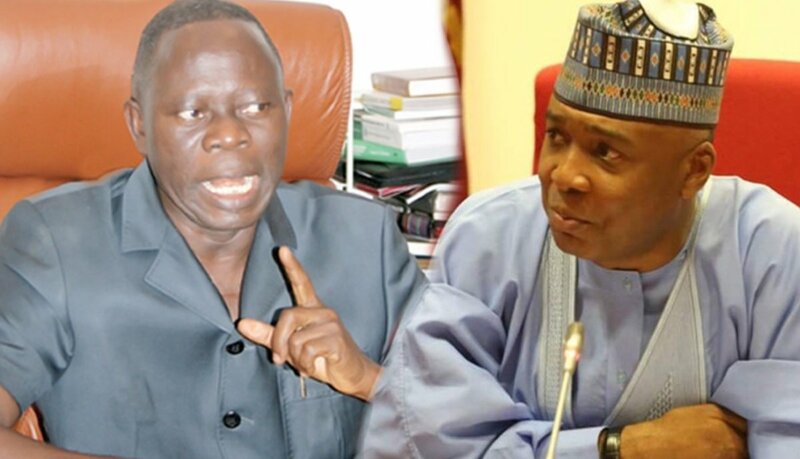 However, reacting to APC’s attack on the senate president, his media adviser, Yusuph Olaniyonu, described the acting spokesman, Mr. Yekinni Nabena, as a robot, who is carrying out the bidding of his masters. Olaniyonu told Daily Sun that the APC is only scared of Saraki’s candidacy. “Dr. Saraki does not have any credibility issues except the ones concocted by these putative demagogues to whom the senate president has become a nightmare. “One should ask, what is APC’s business with an aspirant of another party?